You're a CMO or marketing professional presenting to your board on marketing progress over the past year. Sales are trending up, your industry has generally seen good revenue growth, and the economy overall has started an upward tick. You're bullish on this meeting. "What path do our customers take online before they make a purchase?" "What sites refer the most leads to us?" "What terms are our customers most likely to search for?" "What is the last page of our website that customers typically visit before making an online purchase?" "How much revenue has our Facebook page generated?" The questions continue on in rapid fire fashion for over an hour. You leave the meeting with your head spinning but satisfied you were able to answer the toughest and most analytical of questions. Yet, you know there is still more work to be done and more data to be mined. But next year - not having all the answers - may cost you your job. The era of Big Data analytics is here and growing faster than ever. 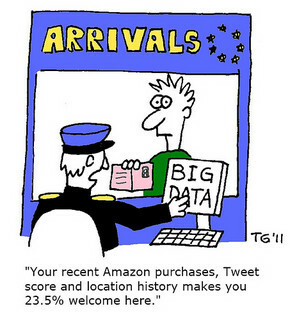 What's Big Data analytics, you ask? It's everything around us. It's what Google, Facebook and Amazon do. It's the reason you'll see an ad for insurance in Gmail after you've been emailing your insurance agent about new quotes or you'll see banner ads for cell phones after you've visited a number of cell phone service provider websites. Increasingly, companies of all sizes are using Big Data analytics like metrics from web traffic reports, email blasts and CRM reports to make important marketing decisions and refine their sales funnel. In fact, it's predicted that by 2017, CMOs will be spending more on IT than CIOs. You're probably a laggard - recent studies show that many marketers are behind in their use of data to expand marketing opportunities in the digital arena. Email can only go so far and is plateauing in its ability to meet sales demands. In the growing area of social media, marketers report the least amount of time and resources spent. You're probably in a silo - if you think of measuring your marketing success within particular channels like social media, PPC, or email, you'll be much better served by thinking of your marketing across channels. Users and data will flow across email, social media and search. Your new customer may start with a search on your industry, post a question on Twitter, receive a link to your website from an email and then visit your site to download a piece of advanced content and be entered into a lead nurturing campaign. The experience is not discrete or specific to separate channels; it's an evolving one that builds over multiple channels. You need more leads - and not just more leads but better qualified leads (i.e. ones with legitimate corporate email addresses not "@aol.com" ones). Nearly two thirds of marketers said their biggest challenge was to attract more leads in 2012 and to concoct the appropriate marketing mix to get these leads. Organizational Alignment - Big Data mining and monitoring involves technology. Are you friends with your CIO? Have you taken your CIO out to lunch or dinner? If you haven't yet, you better start. Your marketing success is inextricably tied to your CIO. Whether you choose HubSpot or Marketo or another marketing automation platform, you'll need CIO buy-in and sign off. And don't forget to find out what you already have. Your CIO likely has tools in place that are already tracking some valuable metrics that will be useful to you. Marketing Mix - email marketing is plateauing, smartphone use is growing. Build a cross channel marketing plan that attracts potential customers across social media, search, PPC and even content marketing. Cast a wider but very much trackable net. Your People - your marketing strategy and plan is only as good as the people you have implement it. As CMO, you won't do the work but the buck will stop with you. Know the profile of your ideal hire and integrate them quickly into the Big Data analytics mindset. Ready? Set. Go! You're early enough in the game. Make Big Data Analytics work for you.